About the Author: Gunars K. Neiders, Ph.D. Elec. Eng., Psy. D. is a licensed psychologist in private practice in Washington State, USA. and consulting psychologist American Institute for Stuttering (AIS). He is the founder of Rational Emotive Behavior Therapy of Stuttering (REBTS) and has been practicing it for over 8 years with emphasis on teletherapy (using Skype and Zoom). He authored the book “From Stuttering to Fluency: Manage Your Emotions and Live More Fully” and his dissertation “Theoretical Development of a Proposed Rational Emotive Behavior Therapy Based Model to Treat Persons with Chronic Perseverative Stuttering Syndrome”. 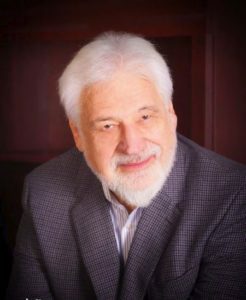 His publications include “Rational Emotive Behavior Therapy of Stuttering via Skype: Case Series Studies” presented at the International Fluency Association 8th World Congress in Lisbon, Portugal, July 6-8, 2015 and “Rational Emotive Behavior Therapy of Stuttering: Theory and Teletherapy Techniques” at International Fluency Association 2018 World Congress: Hiroshima, Japan. This submission deals with speaking my mind on the topic that a single session can have great impact on stuttering recovery. As a clinical psychologist and stuttering recovery coach, I have conducted single sessions with Persons Who Stutter (PWSs). In psychology we call this Behavioral Health Single Session (BHSS). The following is a composite of how this BHSS leading to stuttering recovery should proceed. PWS: Is it possible to have a Behavioral Health Single Session that would help my stuttering? Coach: Yes, it is possible to present REBTS in a single session, provided that 1) you are familiar with current stuttering therapy practices, and 2) have heard of Sheehan’s iceberg model of stuttering. Please note that REBTS mainly applies to developmental stuttering not acquired stuttering as, for example, due to a stroke or an accident. PWS: I am somewhat familiar with Fluency Shaping and Stuttering Modification. And, yes, I have seen Dr. Sheehan’s iceberg picture where stuttering is defined both by underlying emotions such as shame, guilt, anxiety, etc. and the visible and audible stuttering symptoms. Why? Coach: If you know that there are emotions such as shame, guilt, anxiety, etc. involved then you can conclude that in therapy these emotions have to be worked through. Working only on speech mechanics usually does not work in the long run, because no tools are provided to manage emotions. PWS: Why do emotions have to be managed? For example, conscious or subconscious anxiety makes the usually fluent/flowing speech when talking alone turn into stuttered speech when talking to an authority figure or in front of a group of people. It also produces a desire to avoid sounds, words, situations, etc. The unhealthy feelings of shame and guilt, besides making a person feel bad, usually result in a person downing himself or herself. They frequently drive the person to define himself or herself by a single characteristic of stuttering. The PWSs then feel unworthy and rotten. PWS: What does REBTS do to help a person manage his or her emotions? the second child evaluates the waves to be dangerous, feels scared, and runs to his mother to feel secure. Clearly the waves did not cause either the exhilarated or scared feeling. The beliefs, due to the evaluation by the children, were the cause of their feelings and actions. PWS: What does this story have to do with stuttering? Coach: It sets the stage for discussing beliefs (based on evaluations) that lurk behind the unhealthy emotions of anxiety, shame, guilt, etc. Unhealthy negative emotions are extreme, cause emotional distress, and result in undesirable behaviors. For example, extreme speech anxiety results from the absolutistic demand not to stutter. This demand` actually causes us to stutter and to keep stuttering. Total lack of concern (based on the Buddhist ideal of “lack of desire”) prevents us from working on recovery. Only the “Aristotelian mean” of desire (even strong desire) motivates us to recover from stuttering. Coach: Shame is the result of over-focusing on a real or imagined negative characteristic. REBTS systematically challenges the PWS’s obsession with speech disfluencies and teaches the PWS to accept himself unconditionally whether he stutters or not. PWS: Can you explain REBT/REBTS? Coach: REBT/REBTS is a semantic therapy. Our self-talk helps us to clarify our attitudes and beliefs that produce our emotions. REBTS uses scientific thinking, logic, and empirical evidence to establish the validity of self-talk. PWS: Are there basic principles summarizing REBTS? I MUST do well, have good characteristics, etc. You MUST be nice to me, help me, etc. The universe MUST not be hard, MUST not cause me pain, it MUST be fair, etc. Have you ever thought that as a human you have to do perfectly well? That others should be nice? That life should to be easy? PWS: Up until now, I had not really understood that people are Forever Fallible Messed-Up Human Beings. And as Tao says “S*** happens!” But now that I understand it, how does it help me to manage my feelings and forced/struggling stuttering? Acceptance does not mean fatalistic resignation to the way you feel about your speech, how you feel about yourself due to your speech, and to accept that you are doomed to forever stutter in a forced/struggling and be at the mercy of uncontrollable blocks and stutters. Acceptance is the acknowledgement of your past emoting and speaking. It means that you better work on improving your communication, your emotions, how you feel about yourself, and how to keep your speech moving forward without forcing and struggling. It means that avoidances of all types only beget more avoidances and, thus, are better eliminated. PWS: (impatiently) Ok, ok. I understand the acknowledgement of self-talk. But what about speech anxiety and struggling/forcing stuttering? Coach: Oh, yes! Speech anxiety. Fear of stuttering. All unhealthy negative emotions are based upon the three major MUSTS and these MUSTS are linked to emotions by various specific beliefs. Let us start with the most pernicious belief, the belief that we MUST please everyone and be accepted by them. What hogwash! Maybe in the evolutionary past it was necessary to be accepted by the pack for the purpose of protection and hunting of large animals. Today, although advantageous, being accepted and respected is no longer a life or death matter. One can lead a happy and productive life even when one is frequently rejected by some people. PWS: Could you tell me what that has to do with stuttering? Coach: When you are alone you can talk fluently or significantly more fluently, right? Coach: Then when you talk to a boss or in front of a group, your speech becomes more struggling and forced. Right? I will be judged by how I talk. If I stutter they will think less of me. I can’t stand to stutter. I MUST be perfectly fluent. My stuttering makes me a piece of guano. Have you ever had such self-talk? PWS: Yes, I believe that I am not as worthy as people who do not stutter. I really think that stuttering is unbearable, and I cannot stand it. Coach: If a person had this self-talk, how would it make him feel? PWS: He would feel anxious, afraid to talk, ashamed of himself and guilty that he had not recovered from stuttering. He would probably stutter having forced hard blocks. Most people, especially the people who matter, will judge me on how well I communicate my ideas not whether I have a few stuttering blocks. Some people will think less of me. That is life. Nobody is accepted by everyone all of the time even if they do not stutter. Not being accepted by all people all of the time would be only unfortunate not awful. I CAN stand stuttering. I am still here. There is no law in the universe that says I MUST be fluent, let alone perfectly fluent. My stuttering cannot make me a piece of guano. I don’t have to define myself by my stutter. I know right now you don’t believe this. However, I do sincerely believe the above. I have also successfully coached many PWSs to believe this. As an intellectual exercise, imagine how a PWS who believes this would feel talking to their boss or in front of an audience. PWS: He would be at ease. Coach: But have some anticipatory concern that would make him focused. There would be no fear, because they would be confident he could survive a stutter. Do you know why I told you what self-talk I and those who I coach have? PWS: To teach me what self-talk is desirable. Coach: You are right. The core of REBTS is to change the unhelpful self-talk to helpful self-talk. If conscious and subconscious self-talk is changed to where you really, really believe it then you can be more relaxed and stop struggling while talking. As your feelings of anxiety, fear, guilt and shame decrease your stuttering will melt away. You will recover from stuttering. PWS: What if I just can’t change my self-talk, my beliefs? What if I really believe that stuttering is awful, that I can’t stand it, and because of it I am worthless. Coach: Then it is time to show you how you can, with practice, change your self-talk and beliefs. Where is the evidence that the belief is correct? I will take one of the beliefs and demonstrate how to challenge and change it. To recover, you will have to do this for all of them. Taking the belief that stuttering is “awful”. Forcefully ask yourself “Where is the evidence that stuttering is awful?” Then convince yourself, “There is no evidence. I will still be able to enjoy many things”. This active challenging of the unhelpful self-talk has to be done until you truly believe that stuttering is merely unfortunate and not awful. PWS: But how do we change our subconscious mind? First, it is necessary to learn easy bounces. These are repetitions similar to the utterances that a child makes when he starts to learn to talk, e.g. “ma-ma” and “da-da”. Then we send the PWS to use these easy bounces on words that he usually does not stutter on. At first this voluntary pseudo-stuttering is done in easy situations. Then the PWS is requested to do it in harder and harder situations. This systematic desensitization helps in adjusting the subconscious thinking. Finally, the PWS is taught how to pre-empt an on-coming block with an easy bounce. PWS: Can a PWS really learn to pre-empt on-coming blocks? Coach: Yes, if he really believes that he does not need to give too much of a damn about what others think of him. To truly adopt helpful beliefs many PWSs need to study the referenced books and the blogs on the referenced website. The website provides the discussion of other unhelpful beliefs that interfere with the recovery from stuttering. If for any reason you get stuck, you can either contact me or Dr. Heather Grossman at the American Institute for Stuttering (AIS) or any good REBT psychologist who is willing to learn about stuttering. This presentation showed how REBTS in a BHSS can provide tools for the PWS to pursue recovery from stuttering. Thank you for sharing your research with us. I am a second-year speech language pathologist graduate student at the University of Minnesota Duluth. I am currently taking an Advanced Fluency course and am taking part in this conference to further my understanding and knowledge on stuttering. I would love to learn more about your research behind the REBTS program and how you began to develop this program. I am also curious if you recommend or require specific training for using the REBTS program. I have not learned a lot about cognitive behavior therapy (CBT) for stuttering, but I was curious at the similarities or differences between the two approaches. One thing I really liked that you talked about was acceptance. I recently attended a stuttering panel and one member said that she accepted her stutter but was not at peace with her stutter, and if she could she would get rid of her stutter in a heartbeat. I think your definitions of acceptance aligns with her feelings about her stutter. Have you heard your clients talk about acceptance vs. being at peace with their stutter? Thank you for the compliments. Rational Emotive Behavior Therapy of Stuttering is based on three authors. Joseph Sheehan’s in his “Iceberg theory of stuttering” firmly established that dysfluencies are only a small part of stuttering. Wendell Johnson’s in his writings on “General Semantics” demonstrated that persons should not be defined by stuttering only. Albert Ellis Rational Emotive Behavior Therapy demonstrated how you could change your beliefs by using the scientific method and, thus, manage your emotions. There are many cognitive behavior therapies (CBTs). Actually, REBT is the granddaddy of all of them. The main difference is that REBTS is much more coherent and it is easier to apply. To be able to use REBTS all you need is to read my book “From Stuttering to Fluency: How to Manage Your Emotions and Live More Fully” and Lynn Clark’s book “SOS For Your Emotions.” Then read the blogs on my website http://www.stutteringrecovery.net. After that, you can start to apply what you have learned in therapy. Every therapist evolves a style that is more compatible with their idiosyncratic proclivities. Of course, you will at the start make some mistakes of omission and commision. Do not sweat it. After each session ask the PWS what worked well and what did not work so well. If you have any more questions, I can be reached via email or facebook. When someone talks of acceptance vs. being at peace with it, you are right they are in tune with my terms of acknowledgement of stuttering and having the desire to recover from stuttering. Both are possible. As always, I feel empowered and energetic after reading your paper. Thank you for once again presenting these principles of how our beliefs guide our emotions, and how we can and should question our beliefs and our self-talk in order to change the way we react, to change our emotions. Thank you for your compliment. Hope to talk to you soon over the internet. Thanks for your compliment. Talk to you soon via Zoom. What is the best time to get a hold of you? I really enjoyed reading your research about the REB/REBTS method. I found it really interesting how your overall conscious and even subconscious thoughts can influence how a person who stutters responds and accepts their stutter. I really think this could be applied within not only the lives of those who stutter, but truly about anything in life. We, unfortunately, cannot change the attitudes of other people, but we can change our own. Does this method solely work on improving the overall mental health of those who stutter, or does it end up helping those who stutter as well? Meaning, if one no longer has an intense fear of stuttering, their stutter may actually improve? Once you have a good attitude about your dysfluencies, you can start to play around with them and lessen the forcing and the struggle. Moreover, if you use easy Iowa bounces you can start to substitute easy Iowa bounces for any forced, struggling dysfluencies. As you are able to manage speech and manage emotions through managing your beliefs–truly changing your beliefs–your stuttering melts away. If you want to see the proof, let us talk on Zoom.